To date, the preponderance of evidence shows no health effects from dental fillings. A recent study in Norway aimed to look at perceptions of health symptoms after removal of dental fillings.4 The researchers collected self-reported surveys from 324 older adults who had their fillings removed. 75% of patients reported improvements in symptoms, although 38% were still in ill-health. 17% reported no change or worsening symptoms. Most patients experienced tiredness and body pains. A few described heart (7%) or intestinal problems (5%). People reported being in better health as more time had passed since their filling removal. Interestingly, people who took precautions against mercury during the procedures also reported improved symptoms. This is despite the fact that a previous case-controlled study had shown no difference between people getting fillings removed with and without precautions. It is important to conduct more studies with controls and larger sample sizes to get a handle on any link between fillings and chronic illnesses, like IBS. Constanze Hausteiner-Wiehle and Peter Henningsen. 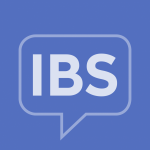 Irritable bowel syndrome: Relations with functional, mental, and somatoform disorders. World J Gastroenterol. 2014 May 28; 20(20): 6024–6030. Available at https://www.ncbi.nlm.nih.gov/pmc/articles/PMC4033442/ Accessed March 31, 2018. 5. Farup PG, Ueland T, Rudi K, et. al. Functional Bowel Disorders Are Associated with a Central Immune Activation. Gastroenterol Res Pract. 2017;2017:1642912. Available at: https://www.ncbi.nlm.nih.gov/pubmed/29201045. Accessed March 31, 2018. 6. Review and Analysis of the Literature on the Health Effects of Dental Amalgams. Life Science Research Organization, Inc. Available at: http://www.lsro.org/presentation_files/amalgam/amalgam_execsum.pdf Accessed January 21, 2019. 7. Agnete Egilsdatter Kristoffersen1, *, Terje Alræk1, Trine Stub, et al. The Open Dentistry Journal. 2016 December 30 Vol. 10, pgs 739-751. Health Complaints Attributed to Dental Amalgam: A Retrospective Survey Exploring Perceived Health Changes Related to Amalgam Removal. Available at: https://opendentistryjournal.com/VOLUME/10/PAGE/739/ Accessed January 21, 2019.